The BLOCK-IT 400 Technalon® / Evolution®4 is made of a unique multi-layer fabric which is made up of 4 layers of material for extra strength against severe conditions. Technalon®/Evolution®4 is a 100% sun-proof, breathable material with a water resistance rate of 90%. This high tech fabric also resists tears, rips and punctures. This cover provides great protection against mud, dirt, bird droppings, acid rain, strong winds, snow and even cats! Great for long term storage either outside or garage kept. Can also be used every day by an experienced car cover user. 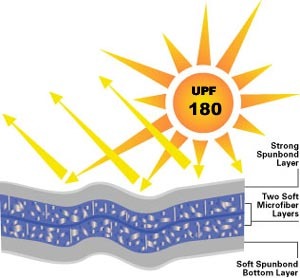 Fabric Construction: Thickness And Pore Size are critical parameters for increasing UV resistance. Block-It 400 has four layers of protection: Two layers consist of microfibers. Finishing: Kimberly-Clark Uses a unique two Part UV protection system: UV blocking and UV inhibiting chemistries. Dust/Pollution Barrier - The two middle layers of melt-blown fabric act as a filtration barrier against most airborne pollutants as small as 0.1 microns (smaller than talc). The BLOCK-IT 400 Evolution fabric is a durable outdoor cover. 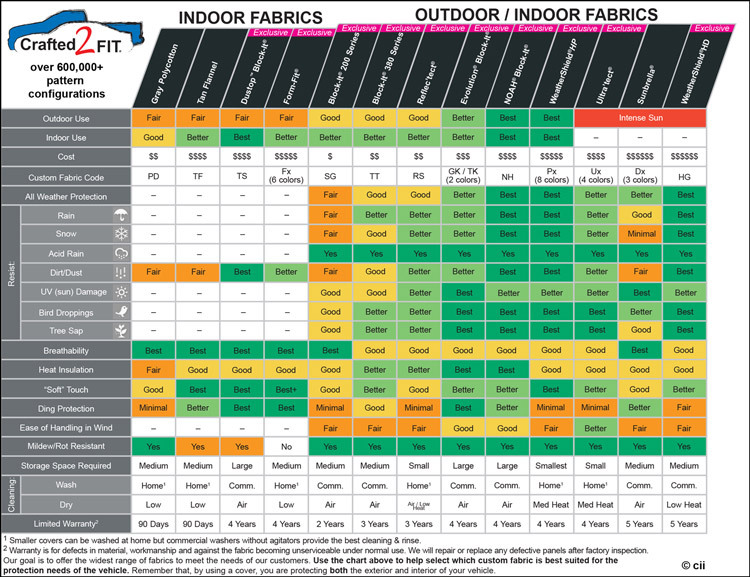 This fabric offers an excellent balance of UV resistance, weatherproofing, waterproofing, and dust protection. 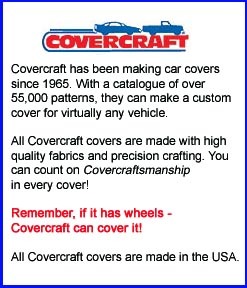 This is the best value for an outdoor car cover. It’s not as lightweight as NOAH, but an experienced car cover user can manage it daily.